Texas Rangers Cards: 2014 in review - Bullpen and Manager. Going into Spring Training, the relief corps was the big question mark for the Rangers 2014 season. The bullpen turned out to be almost a complete disaster. The fact that this portion of the review covers 19 pitchers is a bad sign. It's worse when you consider that the club traded or released at least four relievers throughout the season and I'm not reviewing them. Like the rest of the team, there were one or two bright spots to help mark the way to 2015. This review is in no particular order. Injuries and struggles marred Alexi Ogando's season. Alexi, shown here on card 69 of the 2012 Bowman set, was looking for a bounce back year. Instead he ended the year with a horrendous 6.84 ERA and an equally ugly 1.920 WHIP. After 25 innings in 27 appearances Ogando ended the season on the 60-day Disabled List. Shawn Tolleson made 64 appearances for the Rangers in 2014, all out of the bullpen. He tossed 71.2 innings and ended the season with a 2.71 ERA, and an 1.172 WHIP. Shawn struck out 69 batters while walking 28. He's no closer but provided a little stability for the club in the middle innings. Neal Cotts was the Rangers bullpen utility man. He served as a long man, lefty specialist, steup man, and spot closer. Neal tossed 66.2 innings in the 73 trips (team high for pitchers) he made out of the bullpen. He wasn't terribly consistent and ended the season with a 4.32 ERA, an 1.335 WHIP, and two saves. Roman Mendez was a mid-season call-up and logged 33 innings on the mound over 30 relief appearances. He was able to provide some bullpen stability with his 2.18 ERA and 1.121 WHIP. Roman was a nice surprise for the Rangers. Scott Baker served as long relief and a spot starter when needed. His ability to eat up 80.2 innings aver his 25 appearances (including eight starts) helped off-set his 5.47 ERA and 1.190 WHIP. Not enough to make Scott look like a keeper but enough to make his versatility appreciated. 2014 was a season of frustration for Robbie Ross Jr. He spent time on the disabled list and in the minors as he tried to recover his form and effectiveness. 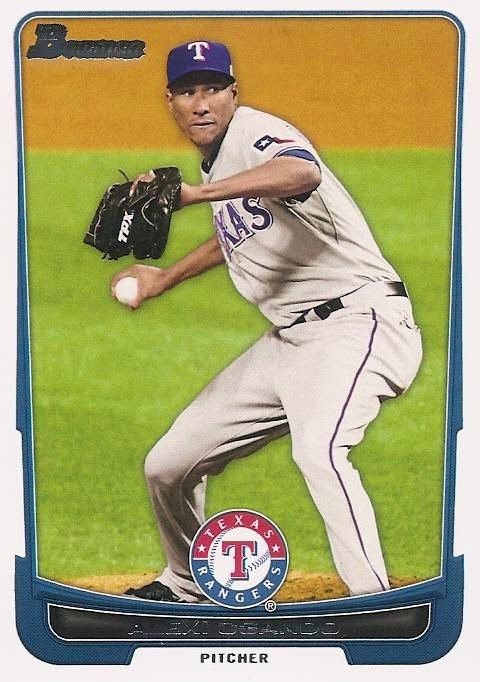 He appeared in 27 games for the Rangers and pitched a total of 80.2 innings. 12 of those 27 appearances were starts. As you can tell by the low number of innings pitched, his 6.20 ERA, and 1.698 WHIP; Ross never was able to get a handle on the season. Neftali Feliz fought injuries and made a trip to the minors in the course of the season but managed to turn in an impressive campaign. He pitched 31.2 innings over 30 appearances and racked up 13 saves after he moved into the closer role following the departure of Joakim Soria. Nefi put together a 1.99 ERA and an 0.979 WHIP. Seems he was able to find his Rookie of The Year form again. Aaron Poreda got another shot at the Majors for the first time since 2009. He threw 21.1 innings over 26 games. His 5.91 ERA and 1.734 WHIP were not calculated to amaze. Phil Klein made his first appearance in the Majors on August 1st. Between then and the end of the season he tossed 19 innings in 17 appearances. Phil put together a workable 2.84 ERA. His 1.105 WHIP was also serviceable. Alex Claudio turned in mixed success over 12.1 innings in 15 appearances. His 2.92 ERA and 1.459 both need some improvement but show some promise. Nathan Adcock struggled through ten innings in seven appearances while turning in a 4.50 ERA and an 1.600 WHIP. After Adcock, the list of relievers gets into the less than ten innings pitched territory. The list includes Spencer Patton (0.96 ERA in 9.1 innings), Ben Rowen (4.15 ERA in 8.2 innings), Jon Edwards (4.32 ERA in 8.1 innings), Ryan Feierabend (6.14 ERA in 7.1 innings), Michael Kirkman (1.59 ERA in 5.2 innings), Matt West (6.75 ERA in 4 innings), and Seth Rosin (6.75 ERA in 4 innings). Pedro Figueroa (4.00 ERA in 9 innings) is also included on the list. He ended the season on the 60-day DL after undergoing Tommy John surgery. The 2015 bullpen is going to be a roll of the dice. Neftali Felix is positioned to resume his old role as closer, if he can carry over his 2014 performance. Roman Mendez also likely has a spot and Michael Kirkman drew some attention at the end of 2014. Figueroa won't be in the mix since he'll still be in recovery. The rest of the spots will probably be decided in Spring Training with roster and non-roster players duking it out. There could also be considerable turnover during the season, even if the team finds itself in a bounce-back year. That wraps up the players but there was one more area of upheaval for the club, manager. On September 5th Ron Washington suddenly announced his resignation as manager. After almost eight years at the helm, he was gone over night. Some fools suggested he had been forced out by GM Jon Daniels. A press conference on September 17th revealed that Wash resigned of his own volition due to marital infidelity. Bench coach Tim Bogar was named as interim manager and led the team to a hot finish as they went 14-8 to complete the season. Bogar is definitely a candidate for the manager's job on a permanent basis. The club has also interviewed pitching coach Mike Maddux and Triple-A manager Steve Buechele along with five candidates from outside the organization. General Manager Jon Daniels hopes to have a manager named by the end of October. Whoever it turns out to be will have some big shoes to fill.